ITS provides the tools to enable Brandeis community members to enjoy a robust and secure computing environment. CrashPlan Pro is an easy, secure online backup system to protect all of your critical data. Code42 CrashPlan provides desktop and laptop backup on computers provided by the University to the faculty and staff. ITS provides disk encryption for employee computers to prevent unauthorized access to the data on the computer. If a computer is lost or stolen, the data inside is inaccessible without the Brandeis username and password of the faculty or staff member who was issued the computer. ITS provides the technology infrastructure and support to enable the high-tech printing environments for Brandeis faculty, staff and students. 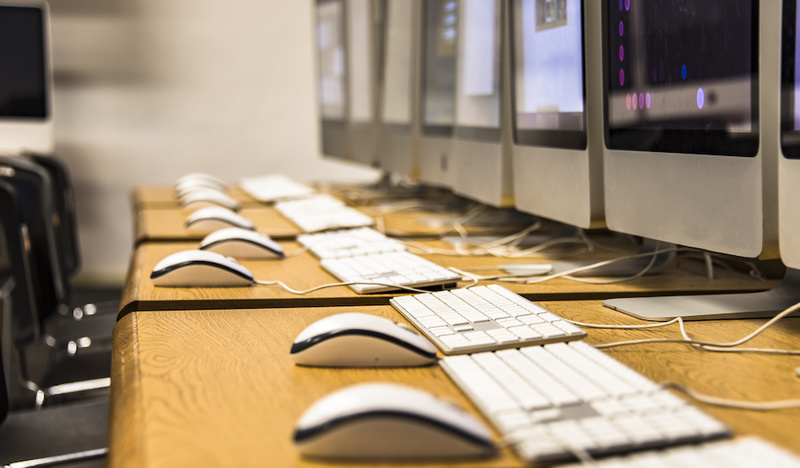 ITS maintains computer and media labs for use by classes and by any Brandeis community member needing a public computer. ITS provides a centrally funded computer to each eligible employee, provides guidelines for departmental computer purchases, and has discounted rates for computer purchases to all Brandeis faculty, students, and staff! ITS provides a Hardware Repair shop available to all Brandeis community members. ITS helps keep Brandeis green through computer recycling. Bring your old computer to the Hardware Repair Shop in Goldfarb Library and ITS will discard it in an environmentally friendly way. If the Repair Shop is closed, you may drop your computer off at the Help Desk. If you are unable to bring your computer to Goldfarb or need to discard old computer parts such as keyboards, monitors, and mice, please contact Facilities directly to arrange disposal. Learn more about sustainability at Brandeis.